aql Leeds DC1, DC2 and 3 collectively are a long established northern carrier hub created by local network services company aql who began fitting out the 50 rack DC1 and 2 in 2006 on the ground floor of their offices based in a former Salem hall and Chapel. 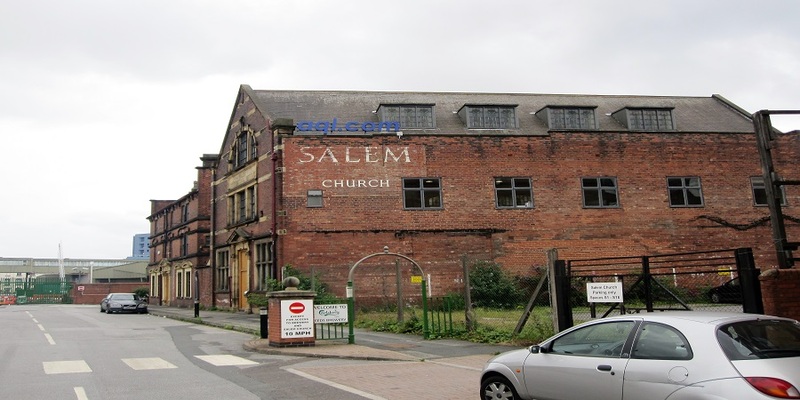 In 2011 capacity was more than doubled when aql fitted out the ground floor of the Grade II listed Salem Chapel, which also became the new home for northern peering point IXLeeds. aql DC3 Salem Chapel is listed on PeeringDB with 16 networks currently available. This makes aql Leeds a well connected local carrier hub, perfect for those seeking carrier access. Power per cabinet is somewhat limited by modern standards, but aql DC5 (which opened in 2016 and only located half a mile away) will be better suited for higher power requirements. aql Leeds DC1, DC2 and DC3 collectively are a long established local carrier hub created by local network services company aql who began fitting out the 50 rack DC1 and 2 in 2006 inside their own headquarters building. In 2011 capacity was increased by a further 80 racks when aql expanded into the former Salem Chapel next door, a grade II listed building that originally opened in 1791, making aql DC3 one of the most unique data centre buildings in the UK. In fact the chapel was also where the local football team Leeds United was founded in 1919. Many workers from the huge former Tetley’s Brewery site over the road and other nearby industries would have used these buildings for worship, weddings and other activities in the 19th century. The location of the aql building directly south of Leeds Bridge, once the principal route south from the city centre, has helped aql pull local carriers on site as the network operators also use the bridge as a major fibre route. In DC3 the data centre occupies the ground floor whilst the upper floor seating areas are preserved and now function as a 360 seat conference venue, complete with glass floor through to the data centre down below. IXLeeds was launched in 2010 to become a regional peering hub and now has 16 connected members using 20 ports. Members include a number of northern ISPs and hosting businesses as well as the national education network Janet.